YOUR JULY HOROSCOPE IS HERE! Check out what you should wear for your best month yet and use code SUMMERLOVIN to save 40% on this month’s picks. CANCER: It’s your time, Cancer! Let your creative mind run free in an imaginative new look with our Baby Blue Marabou Poms. Wear them to that new art gallery you’ve been thinking about or to your friend’s Fourth of July gathering! LEO: Spend more time soaking up the sun this July and less time trying to pick out your new fav accessory! The Chartreuse Marabou Poms match your bold personality and style. Be ready to stand out and be fierce all summer long. VIRGO: Searching for the perfect everyday statement, Virgo? Look no further than our Black Ostrich Feather Plumes! These earrings are the perfect accessory for your go-getter lifestyle and intelligent personality. 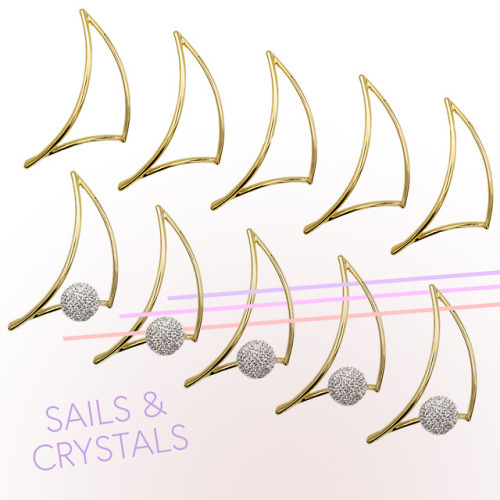 LIBRA: These mini star earrings are the perfect match for your easy-going personality, Libra! Treat yourself and shine on with a golden metal finish. Continue the look with our metal ring set for an even more flirty look this summer! SCORPIO: Summer is the time to be bold and confident with your style! Wear Black and Red Ostrich Poms with your fiery and ambitious personality for the perfect colorful, bold, and exciting look this season, Scorpio! SAGITTARIUS: It may finally be summer, but life is hitting those around you with full force. It’s time to be the humor everyone needs in their lives right now. Easily do that by styling your looks with a carefree earring. The Forest Green Yarn Poms are perfect to remind your friends — and yourself — to stop and have a little fun! CAPRICORN: You’re ambitious, Capricorn! With your attention to detail and major career goals, you deserve the perfect finishing touch on your outfit. Look no further than our Soft Pink Yarn Poms to add the cutest detail to your everyday look. AQUARIUS: With summer finally here, it’s your time to stand out, Aquarius! Rock these flirty Green Peacock Feather Plumes to spark conversation with that cute guy you’ve been telling everyone about or get compliments all night long with your besties! PISCES: This month is huge for you, Pisces. Your hands are full with big projects and your favorite people, so why not take the worry out of accessorizing your outfit? Here’s a little pom you can wear every day — perfect for when life is happening and you’re living in the moment. ARIES: Your job may be getting super stressful this month, but no worries, Aries! It’s time for you to learn balance by enjoying that time off. Focus your energy breaking out new moves on the dance floor, and wear these dynamic earrings for an added bit of flair! TAURUS: This month is all about you and your pals. Treat yourself to something fun and warm – these Hot Pink Marabou Poms – and pick up a pair for your fav friend, too. Rock these on your besties brunch or on your personal self-love vacay. GEMINI: Life may have some tricks up its sleeve this month, so be ready for any situation with a versatile look! These Cranberry Poms compliment your work look, spice up your nightwear, and can handle anything in between.